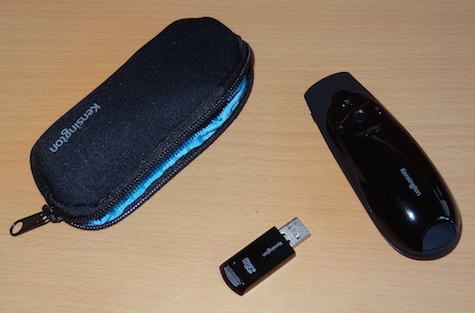 An all-in-one wireless laser pointer, slide changer and USB memory card, the Kensington Presenter Expert is a simple to use as it is stylish, and contains many excellent built in features. The Presenter Expert comes in a material carrier pouch that matches the color of the device and keeps it both secure and waterproof. An unobtrusive USB controller fob that can be connected to any computer, Mac or PC, also doubles as a 2GB memory key to store all the files needed on-the-go, including the presentation to be given! The controller itself is ergonomically designed to fit comfortably in the palm of the hand but is neither slippy or awkward to use. Power is provided by two AAA batteries (included), and so efficient is the device that months of use can be had before replacements are required. The best feature of the Presenter Expert is the crisp and precise bright green laser that is far superior to the red laser in most pointers, and is distinct on both light and dark backgrounds. The range of the device is advertised as 50 metres, and whilst I haven’t tested it to its limits, it can be used successfully in almost all presentation scenarios. Four buttons and a small thumb operated joypad at the top of the unit control all the functions of the device. The buttons allow flawless control of presentations in all of the major presentation applications (Keynote, PowerPoint and Deckset for example), control of the laser and a handy button that allows the presenter to blank the screen. The joypad is an ingenious feature that allows the mouse to be manipulated directly from the controller with surprisingly precise control. Part of what makes the Presenter Expert so good are the small features that enhance the experience. 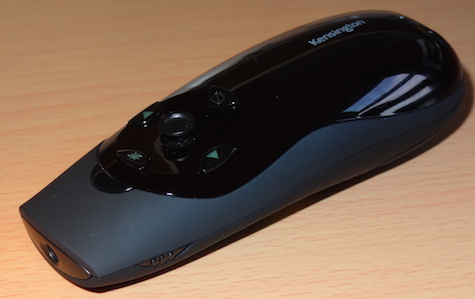 Typical of this are background illumination of the buttons, ideal in a dark room, and the battery saving feature that disables the laser once the controller fob is returned to its storage position in the device. 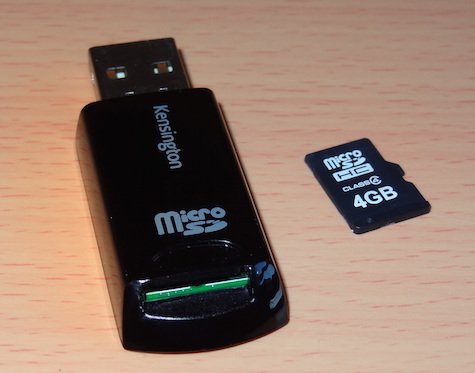 The storage is in the form of a micro SD card that slots into the USB receiver, if more storage is required it can be easily swapped out for a higher capacity card than the included 2GB card. There is very little not to like about the Presenter Expert. The only drawback is how it is easy to forget that it is a USB memory key as well as a controller, so the drive volume must be ejected from any computer before it can be removed. The presenter expert isn’t the most affordable option for a laser pointer but it is excellent value and helps in the delivery of a high quality presentation.